Since the 80s the Great Lakes region has experienced genocides, war crimes, crimes against humanity, so much so that the entire area has become like a cemetery with dead on display. There are human skeletons everywhere, some more respected than others. Photo courtesy of keith harmon snow, 2006. Photo courtesy of keith harmon snow, 2006. 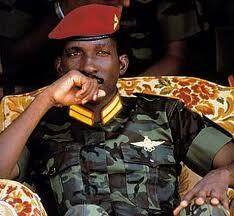 Thomas Sankara, the charismatic and pan-Africanist Burkinabe leader. “…IQ tests are not a measure of innate intelligence. They are a reflection of how you were brought up, testing if your parents gave you toys designed to prepare you to succeed in the modern world. They made it look like the American civil rights movement of the 60s. At that time, they were people of colour marching in many US cities claiming equality of races in the American society. On Saturday December 21st, 2013 in Paris, they were Congolese. They came from everywhere: United Kingdom, France, Brazil, Canada, Ireland, Nigeria, Russia, Venezuela, Switzerland, Spain, Belgium, Holland, Sweden, etc. According to certain sources they were between 5,000 and 7,000 people. They were almost all Congolese with only few faces which did look alien to the demographics of the Democratic Republic of Congo. The purpose of the meeting of Paris was to say NO to a concert by the Congolese artist JB Mpiana. However, a few days before, the event had been cancelled by the French authorities preoccupied by security issues. Understandably, all the people who had planned to attend the Paris meeting were already gearing to the event. Some had already arrived in the French capital before the official cancellation of the concert. The question any non-informed observer would ask is why a musical concert would be so vigorously controversial. The answer is to be found in the politics of the Congolese government in Kinshasa and the place that music holds in that country. It appears that the music, because of its significant part in the Congolese society, is used by politicians to distract the population from asking accountability about national critical issues such as persistent war in Eastern Congo, poverty, injustices, lack of essential infrastructures including schools and hospitals. For the many Congolese who gathered in Paris, the purpose of the public march and meeting was to tell to their government in Kinshasa that it had proven its total incompetence in addressing the challenges faced by their country, and especially the problem of protecting DRC sovereignty. In the same line of Congolese awakening, on December 23rd, 2013 the French president, Francois Hollande, received the petitioners for an International Criminal Tribunal for the DR Congo. While Congolese consciousness is getting a significant momentum among citizens of DRC, it is unfortunately at the same period we witness other conflicts emerging across Africa. We observe almost helplessly what is happening in the Central Republic of Africa or South Sudan. Before, it was in Mali, Ivory Coast and Libya. Can Africans wherever they are across the world or live in these states created by Europeans in Africa see in these different zones of conflicts, potential sources of their additional problems for their ultimate development and seek solutions together? They should feel as much concerned as neighbors are when a house in the neighborhood gets on fire. Are UN peacekeeping operations causing more instability than they are resolving in Africa? 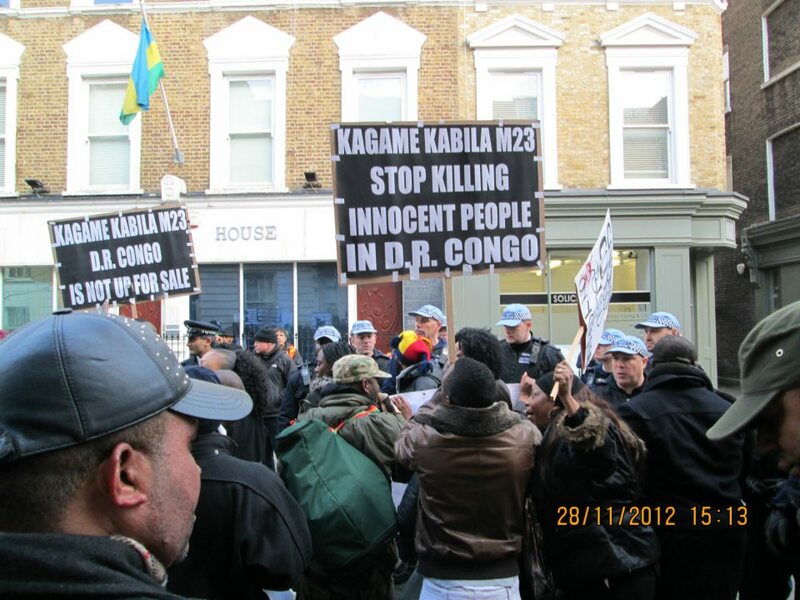 Congolese protesters on November 28th, 2012 in front of the Rwandan High Commission in London – UK. One may reasonably argue that Rwanda, Uganda, and any of those poor African countries contributing UN peacekeepers may have no interest in peace around the continent.